A genuine African Cameroon wrapper highlights this unique-tasting and affordably-priced selection presented in mostly box-pressed shapes. Each cigar is skillfully handmade with a medium-bodied blend of Nicaraguan Habano longfillers and binders that are carefully selected to complement the rich flavor and aroma of the specially-aged wrapper. 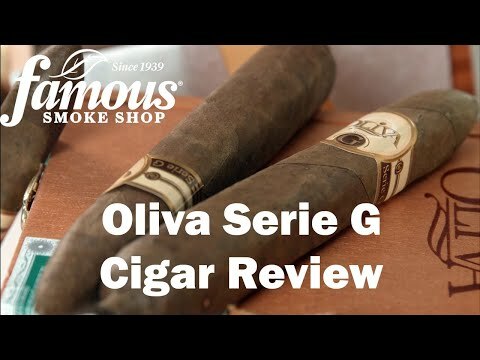 Available in a wide array of sizes, the Oliva Serie G is a great way to introduce yourself to the Oliva Family of fine premium cigars.